The city was seeking, and expects to seek again, proposals for the parcel marked in yellow on this map. After contacting 70 groups about how to develop a 2.5 acre parcel in the Sawdust District, the city came up dry in a “request for proposals” process that ended Oct. 2. “We did not receive any proposals,” said Kelly Nieforth, the city’s economic development manager. City staff met with at least six developers, but in the end no one came forward with a specific plan. The city had been hoping for a “creative and aesthetically pleasing commercial, office or mixed-use project” for the site at 43 E. 7th Ave. The property sits south of Pioneer Drive with a view of the Fox River. Projects like Eagle Flats in Appleton, One Menasha Center and the Plexus building in Neenah were what city officials had in mind. “There are a lot of factors,” said Rob Kleman, senior vice president for economic development at the Oshkosh Chamber of Commerce. He said everything from timing to the condition of nearby properties to the package of incentives that might be available could have come into play. The parcel is owned by the city’s Redevelopment Authority. This entity has been acquiring land on the south shore as part of a “land banking” process, Kleman said. Another factor he cited is the current state of the planning process for the Sawdust District, which is still a work in progress. Since there isn’t an approved plan, there is a degree of uncertainty that could cause a developer to hesitate, he said. The lack of offers is “no huge concern,” he said. 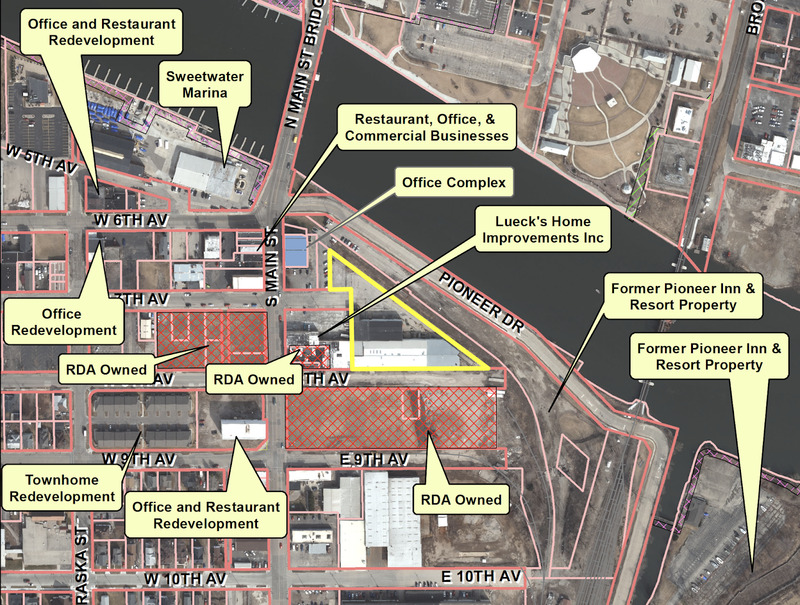 Nieforth confirmed that the next step is to go back to the Sawdust District planning process. “We’ll definitely be looking at that and trying to figure out a way to attract developers to the area,” she said. The current tenant, Advanced Military Packaging, is expected to terminate its lease at the end of October, the city said.